• Honorary Consul of the Kingdom of Spain in Dubrovnik since 2014. Julian Costley is the author of the guidebook for entrepreneurs: HOW TO: USE CROWDFUNDING. He’s an expert on raising capital, an active angel investor, and a professional chairman/NED. He was a Country Manager at Thomson Reuters, then created his own TV channel on BSB (later BSkyB), then founding CEO of France Telecom’s Globecast satellite company. He then met venture capitalist Hermann Hauser in 1998 and together they created E*TRADE UK the UK’s first all-Internet stockbroking firm and effected a trade sale at the height of the dotcom boom. Since then he has invested in 22 companies and become chairman/NED or adviser to many more focusing on the financial services, media, telecoms, and internet markets in UK, Netherlands, Scandinavia, France, Canada, and China. He’s also leading a start-up which will launch in Autumn 2018. 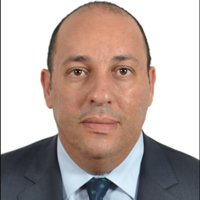 He is an occasional lecturer/mentor/MBA course judge at London Business School, Said (Oxford) University, EDHEC (Nice), UM (Barcelona), and Skema Business School (Sophia Antipolis). He now lives back in the UK after 7 years in France. His interests/passions are his four children, design, storytelling, sailing, tennis, guitar, and opera. Digital transformation strategist. He has done work for clients such as UNDP Montenegro, Government of Montenegro, Social Innovation Laboratory Zagreb, Publik (for Alkaloid Skopje), Regional School of Public Administration (ReSPA)… He has an extensive experience in delivering training programs for clients including The Coca-Cola Company (Serbian Operations), Roche (Levant, Serbia), Trebjesa Brewery Nikšić (a Molson Coors Company), Crnogorski Telekom (a part of Deutsche Telekom group), Erste Bank Serbia, Delhaize Serbia, British Embassy Belgrade (Serbia), UNICEF Youth Innovation Laboratory Montenegro, GRAWE insurance, Triglav Insurance, Direct Media Montenegro, and British Council Montenegro. Co-founder of Digitalizuj.Me, a non-governmental organization helping citizens and organisations in Montenegro to understand and realize exciting new opportunities for social change and business in the digital environment. Program Director of Spark.me conference, one of the most carefully curated tech/business conferences in Southeast Europe. 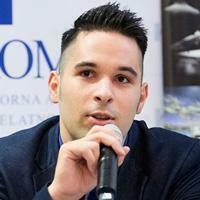 Has 12 years of experience teaching Strategic Management at the University of Montenegro. Keynote speaker in 20 countries across 4 continents, from Peru to Taiwan. Two-time TEDx speaker, including a talk at TEDxZagreb in front of 1,000+ attendees. Ante is an entrepreneur and consultant who returned to Croatia after obtaining substantial professional and academic experience abroad. He first graduated from an international high school in Damascus, Syria, after which he lived in Germany, where he obtained his Bachelor's degree in International Politics and History from Jacobs University Bremen, and later a Master in Law and Business from Bucerius Law School and WHU Otto Beisheim School of Management in Hamburg and Vallendar, respectively. He published several scientific papers on international relations, security, and counterterrorism. Since 2013 Ante has been leading A-Link, a consultancy specialized in human resources, careers, and education consultancy, helping many individuals plan their careers and enrol in study programs abroad, and on the other hand advising schools and universities on marekting, mobility, career centers, and matters pertaining to academic competitiveness, as well as the future of work and education. Ante is a co-author of UP - Učenici poduzetnici, a practical entrepreneurship program for pupils, and a founder of Cronnect.me - a platform which c(r)onnects Croatian start-ups with potential investors from the Croatian Diaspora. Lastly, Ante also worked as a consultant at the World Bank, and is currently developing innovative models and methodologies aimed at improving ways in which business diagnostics are performed to measure human capital, operations, and competitiveness. He currently lives in Zagreb, Croatia, and when he does not empower individuals and/or organizations, he plays in a funk/rock band, takes photos, does research, and enjoys playing with his 2-year old son. 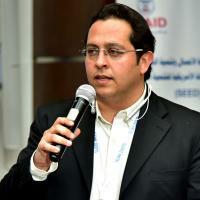 Tarek El Kady is a leading entrepreneur in his native Alexandria, Egypt. Born and raised in Alexandria, Tarek has worked in the U.S. as a part-time web designer before launching his first company called WebArchitect. After a successful decade in this business, he launched Markade which focuses on marketing, advertising and branding. Eventually, he started Cactus which is an event management and on ground activation agency. Lastly formed KD Group which manages the operations of the three agencies and their clients which are local, regional and global. Last year, Tarek shook up the technology world by hosting two episodes of Techne Summit in Alexandria (October 2015 & May 2016). Techne Summit is a two-day international entrepreneurship technology event that acts as a platform including the main global players in the technology industry, namely: industry professionals as speakers, technology businesses, entrepreneurs and startups, investors, users and media representatives. In December 2016, Tarek announced the launch of Alexandria Angels, the first Alexandria based Angel Network. Consisting of a select group of founding members, all experienced in business and enthusiastic about entrepreneurship in Alexandria, the newly established network seeks to invest in promising, high-growth startups in Alexandria and the Nile delta region from mid next year onwards. The announcement came during the opening of Rise Up Summit, the leading entrepreneurship event in the Middle East and Africa. In February 2017, Tarek launched the first of its kind nation-wide roadshow to empower entrepreneurs all over Egypt Techne Drifts - Three drifts that are in the format of a road show which kick-started by Upper Egypt, as a one-day summits in three different cities Assiut, Sohag and Aswan. Then Delta in three other cities Mansoura, Zagazig and Tanta. The Canal Drift will soon follow on 15,16 March 2017 in Suez and Port-Said respectively. Tarek is passionate about helping young people. Anita Martinčević (born in Varaždin 1990.) graduated from the University of Zagreb Faculty of Electrical Engineering and Computing (UNIZGFER) in 2013 in the area of automatic control. The same year she starts to work at UNIZGFER as a research assistant in the Department of Control and Computer Engineering and starts her PhD studies. From April 2013 she was employed on a research project Enhancement of Research, Development and Technology Transfer Capacities in Energy Management Systems for Buildings (ENHEMS-Buildings) as one of the lead researchers. Within this project research and development infrastructure for comprehensive and energy-efficient control of comfort in buildings was established on UNIZGFER through the implementation of energy efficient optimal control on two floors of UNIZGFER skyscraper. Her work was oriented on the development of advanced estimation and control algorithms for optimal comfort control in buildings. Currently, she is working on international project Smart Building – Smart Grid – Smart City (3Smart) which follows the main idea of ENHEMS-Buildings by integrating the building comfort control into a general system for building energy management. The operation of the developed building energy management system, able to coordinate all the building subsystems including thermal energy production, microgrid, distribution grid or any other consumer, is currently being tested on 5 pilot buildings in Danube region. In parallel, she is a part of UNIZGFER team working on a project Development of a System for Predictive Control and Autonomous Trading of Energy in Buildings focused on production and commercialization of services for predictive control of energy in buildings connected to energy grids and subject to dynamic energy market conditions. She has more than 5 years of R&D experience in the building energy management via advanced control which resulted in more than 10 research articles on international scientific conferences. 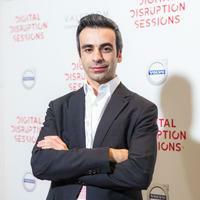 Ahmad is the CEO in ITKeyMedia and the board member of Polish-Iranian Chamber of Commerce. He can be proud of a strong international background, diverse expertise in sales, finance, content marketing, business development and social media strategy. He has the in-depth sales and marketing experience. He specializes in business development, management consulting, strategy definition or projects delivery. He is the graduate of Lancaster University. Entrepreneur, mentor, with 12 years experience in IT, Founder Institute graduate and founder of Baggizmo (a unique bag for all the gizmos and things you need to have at your fingertips at all times). Baggizmo has merged technology with fashion and developed the next frontier in wearing tech, a smart bag that provides an advanced, more functional and aesthetically pleasing way of carrying belongings. Now after a successful Kickstarter and IndieGoGo campaigns for Baggizmo he is scaling production and also preparing his future products for the market. Startup Generalist (interested in all things startup and participating in every part of the startup world), Startup Founder, Startup Advisor, Startup Mentor, Startup Consultant & Startup Ecosystem Builder. 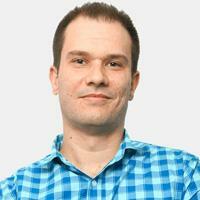 Techstars Community Leader in Zagreb and Croatia. 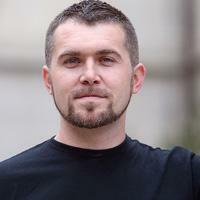 Nikola is the CEO and co-founder of Ars Futura. 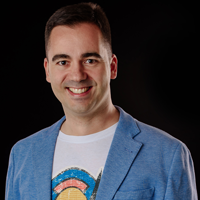 After years of developing and managing different IT projects, 6 years ago he co-founded Ars Futura to provide best experience for its clients in both software and design development. Nikola is constantly looking to expand into more emerging technologies. 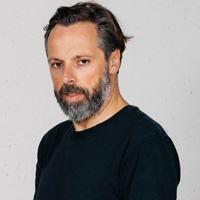 Ivan is the CEO and co-founder of Ars Futura. 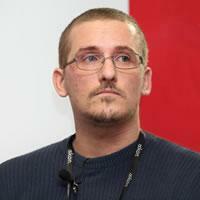 Started his career as Web developer and designer and through years specialised in product design and management. Likes working and improving new products by following the "Product first" philosophy. Tania Kleynhans received a Bachelors degree in Mathematics and Operational Research from the University of South Africa, and an M.S. in Imaging Science at the Rochester Institute of Technology. 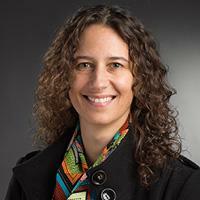 Currently, Tania Kleynhans is an Associate Scientist at the Chester F. Carlson Center for Imaging Science, RIT. She leads the Rochester Cultural Heritage Imaging, Visualization and Education group (R-CHIVE) and is responsible for the organization of the R-CHIVE conferences and workshops, assisting student research and coordinating collaboration efforts. She assists in various research projects with involvement in measuring ink and material spectra and research on application of algorithms to satellite imagery. Tania is doing her PhD part time on hyperspectral image analysis of illuminated manuscripts and paintings. 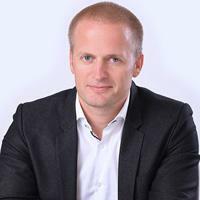 Jure Mikuz is a VC fund manager with broad experience in deal structuring, business modelling and helping startups to grow their businesses. Jure founded the first Slovenian VC Fund, raising funds from established Slovenian companies and public sources. 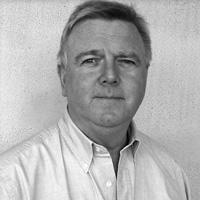 Jure serves as a board member in multiple portfolio companies including Celtra, Marg, and Degordian. He actively promotes entrepreneurship and regularly holds lectures on finance and fundraising procedures for the start-up. Jure holds a M.Sc. in Management from the University of Ljubljana. 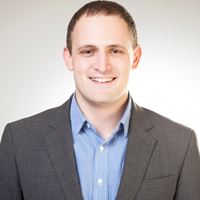 Jure is also the co-founder and managing partner at South Central Ventures. With offices in Belgrade, Zagreb and Skopje, South Central Ventures (SCV), through Enterprise Innovation Fund (ENIF), is focused on tech companies in the Balkans. The € 40 million fund is dedicated primarily to early stage and growth investments. As an Expert Advisor for analysis and optimization of business processes in the Mayor’s Office at the city of Zagreb I am actively engaged in projects and programs focused on the development of innovation, and startup ecosystem in the city of Zagreb. I am responsible for: analysis, reporting, and evaluation of project initiatives, preparation and implementation of city’s EU funded projects, development of partnership network, international and inter-institutional co-operation. Before that, I worked as an Expert Consultant in the Development Agency Zagreb, nowadays known as Zagreb Innovation Centre Ltd. (ZICER), where I worked on the preparation and implementation of various EU, national and locally funded projects/programs focused on the development of innovation and startup ecosystem in the city of Zagreb. I was an active member of several expert groups in deriving mid-term strategies and action plans for the city of Zagreb. One of my key roles in ZICER was a program coordinator of the STARTUP FACTORY program, a first publicly financed "no equity" pre-acceleration program in Croatia, focused on the development of Smart City innovative solutions. I actively contributed to the preparation of the program concept, drafted and managed the first three cohorts (35+ startups) of the program that supported the development of smart and innovative solutions. In October 2018, I joined the Startup Grind, one of the largest startup communities in the world as Zagreb chapter Co-Director. The same year I became a Master of Science candidate at the Rochester Institute of Technology - MS program Service Leadership and Innovation (e. 2020). Additionally, I was a member of the organizing committees of several international conferences: ZAGREB FORUM (2015-2018), ZAGREB CONNECT (2017-2018) and MCE Zagreb 2017, and was involved in the organization of numerous other events, such as conferences, meetups, bootcamps, hackathons as an organizer, mentor, moderator, and lecturer. Amit has been helping international companies to chart out their India footprint and help them in creating local go to market strategy. He also advised government and corporates in creation of their startup initiatives.He is also a TEDx speaker and a startup TV evangelist working with TV shows including The Vault show. 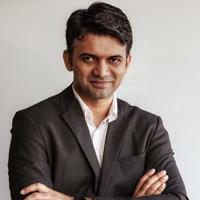 During his stint as the first country head of F6s,he has worked with most of the accelerators and VC's in India. He usually consults startups on sales, government relations, networking and fund raise. Entrepreneur with strong background in IoT product development. 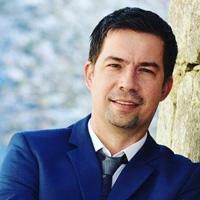 Lukša Jakobušić, is the proprietor of Brenum, a Dubrovnik based firm which for 25 years has specialized in the retail and wholesale distribution of electrical and lighting equipment. In 2007. 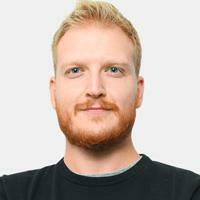 Lukša founded a light engineering company aptly named Lighting, and then entered the mobile application market with his start-up Typing producing renowned apps such as Spotie and Listenapp, which were recognized amongst the top 20 applications at the London SeedCamp. His latest venture One Suite Hotel was 10 years in the making and began with the purchase of land in Srebreno, a costal Croatian village just outside of Dubrovnik. Through EU funding assistance the innovative One Suite Hotel opened its doors in 2017., and it was the first hotel in Croatia which allowed guests a mobile application to open doors, book day trips, purchase food and souvenirs under the hotel’s brand ONE. The project has won numerous awards, including the International Hospitality award for the best new hotel in south east Europe for 2017. Lukša Jakobušić is also known for his contribution to local sport, where he was president of waterpolo club Jug from 2013. to 2017. In this period Jug went won 5 trophies in one season, including the European Championship, making Lukša the most successful president in the club’s 96-year history. 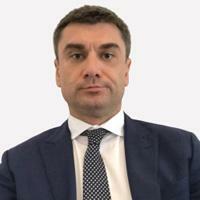 Dimitris Litsikakis holds a BSc in Information Technology from Piraeus University and a MSc in Project Management from Lancaster University. He worked at IBM UK as a Project Manager delivering large scale IT projects. He then joined Edenred Greece as Digital Transformation Manager where he led the entire digitalization of the company’s solution offering, issuing hundreds of thousands of MasterCard cards to beneficiaries. In 2018 he was appointed Country Manager for Revolut in Greece, Cyprus & Malta, where he grew the client base by 400%. Having secured $336M in funding, Revolut has an impressive $1,7B valuation and 4 million users across Europe. In April 2019 he joined DeVere as Global Head of FinTech, leading the group’s digital efforts. Since 2014, he also acts as Athens Chapter Director for Startup Grind, the largest entrepreneurship community in the world." He is director at Tolar HashNET, Chairman of World Blockchain Hub, Co-Chair of High Level Group Blockchain for SDG and Council member at Circular Change platform. 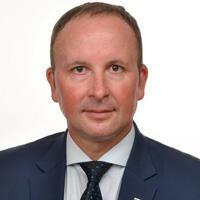 He is a former State Secretary of the Office of the Prime Minister of the Republic of Slovenia, initiator and signatory of Feel the future declaration: Initiative Blockchain Europe, actively involved in promotion, development and smart regulation of social and circular economy, blockchain and distributed ledger technology for achieving Sustainable Development Goals at national, European and global level. After he graduated from the Faculty of Mechanical Engineering, University of Maribor, he was working in the National Assembly of the Republic of Slovenia as a secretary of deputy group from 2000 - 2004. From 2002 - 2006 he was also a board member of the Financial Fund for Decommissioning of the Nuclear Power Plant Krško as a representative of the Slovenian parliament. From 2004 -2009 he was director of the Youth Centre of Dravinja Valley. In 2009 he became a member of the National Assembly of the Republic of Slovenia and was a member of the following parliamentary committees: for defence, social affairs, agriculture, supervision of secret services and European affairs. As parliamentarian he proposed a law on social entrepreneurship which was accepted in April 2011. He was the initiator of establishing the Slovenian national Social enterprise forum in December 2011, and in January 2012 he was elected to become its secretary general. 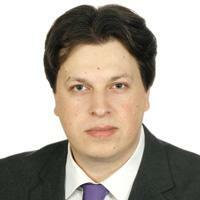 From February 2013 - October 2014 he was working as a political advisor in the European Parliament. From October 2014 until September 2018 he was State Secretary in the Cabinet Office of the Prime Minister of the Republic if Slovenia. From 2015 until March 2018 he was a member of European Commission Expert group on social entrepreneurship (GECES) as representative of Republic of Slovenia." 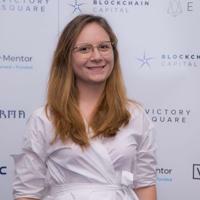 Blockchain and Machine Learning expert, with a proven track record in Product Management, Product Strategy and Business development. Experienced in corporate and startup environments in Strategy, Operations, and Business Analysis. Currently focused on the development of Fintech solutions using blockchain, Product Strategy and Business Development. 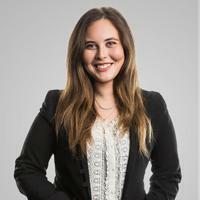 Farah has experience in both entrepreneurship and venture capital. She is currently the Head of Venture Growth at Falak Startups and has previously founded an Edutainment start-up of her own and worked with Endeavor Egypt. Prior to Falak Startups, Farah was with NI Capital’s Advisory team, working closely with government officials to address systemic challenges across various sectors. On the side, Farah heads NOLA Cupcake’s events business and does educational consultancy. Farah graduated from King’s College London with a BA in Development and Urban Geography and a specialization in Urban Policy. 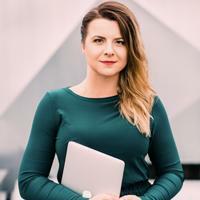 Running her own online business, Iwona calls herself a business, brand and technology strategist for passionate entrepreneurs who want to turn their ideas into business and scale it globally. Using Design Thinking and Lean Startup methodologies, she helps entrepreneurs overcome their fear of technology, build online products and use their personal brand as a competitive advantage. Because of love for startups Iwona joined Archdesk as the Customer Success Manager. Geek Girls Carrots Cracow co-organizer. Experienced Editor with a demonstrated history of working in the media production industry. Skilled in Editing, Journalism, Corporate Communications, English, and Writing. Strong media and communication professional graduated from Thomson Reuters Foundation and Robert Bosch Stiftung scholarship program. 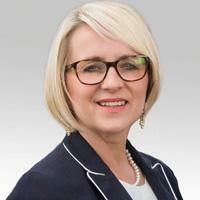 Nadina Gradaščević is international business and leadership consultant, an effective executive with 10+ years of international experience in driving and managing sales and business development, pioneering new concepts and products and advising leading global companies (DAX 30, STOXX 50, FTSE, ATX) and clients from 30+ countries. Engaged leader and astute strategist with an extensive cross-cultural experience and unique drive for excellence. 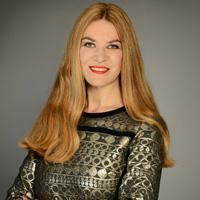 Nadina is an ex-investment banker, keynote speaker, certified business trainer, mentor for start-ups/entrepreneurs, mentor for expats and the president of the Association “Business Women of Bosnia and Herzegovina” based in Vienna. She was awarded for outstanding contribution to women’s empowerment.